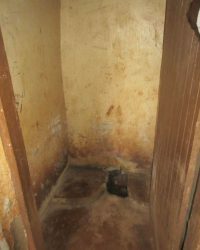 WASH facilities in Tanzanian schools are extremely poor. 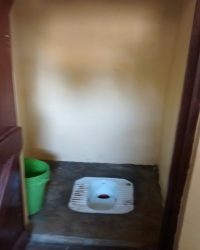 In 2013, a UNICEF study concluded that 84% of schools in Tanzania do not have hand washing facilities, 46% lack access to safe drinking water, 52% do not have adequate sanitation and hygiene facilities for girls and 96% of schools do not have WASH facilities suitable for disabled children. A lack of WASH facilities makes children vulnerable to illnesses such as diarrhoea, worms and urinary tract infections, which has a knock-on effect on their education. Girls reaching puberty are less likely to regularly attend school due to lack of WASH facilities. Many schools have toilets which are poorly maintained, have no doors or they are broken, they lack basic hygiene and provide no privacy. Research shows a direct link between good access to WASH facilities and retention, performance and attendance at school. Improving WASH facilities tackles poor health amongst children and consequently lowers absenteeism, both of which are vital to improving the safety and education of Tanzanian children. Improving sanitation and privacy levels in schools is key to ensuring that girls do not feel humiliated or unsafe once they begin menstruating. Such simple, basic solutions can have a wide-ranging and long lasting impact on education and a child’s future. The photographs to the right demonstrate the improvement in school toilets following the intervention of our Fit for School project. will be trained, providing them the knowledge and confidence to support teachers to set up, facilitate and manage WASH Clubs; for example, by instructing them on how to communicate WASH techniques to groups and individuals. will be trained on Fit for School. These committees will be used as a platform to advocate for the community to take part in the project, creating a sense of ownership and accountability.